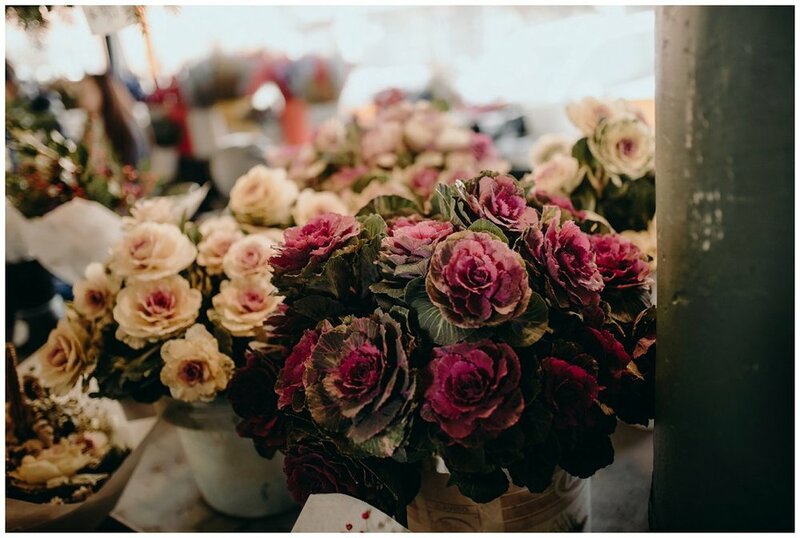 An array of smells linger in the air at Pike Place: primarily fish, buttery piroshky, rich espresso, the occasional trail of pot smoke (you know it's true), and the dewy floral fragrance of bucket after bucket of fresh flowers. Experiencing the place I live in is always important to me. My mom used to tell us stories of our grandma taking turns down random roads, just to see where they led. Despite my sister and I getting car sick, my mom would pull the same trick on us. When we were little, it only made the car rides longer. As I grew, I found myself doing the same. I had a thirst for seeing the world. I wanted to see how people lived, the sights that people flew halfway around the world for, and devour the food held in high regard. We always grew up occasionally venturing around Pike Place. We acquired odd things like a hanging stuffed pink dolphin that dangled in my sister and my room for years and snacked on palmier from Le Panier. The kitchen store was a favorite of hers, always looking for a specific cookie spatula (it was flat and free of holes, perfect for even scooping). We watched the fishmongers bellowing orders and tossing salmon and pointed at the ugly monkfish, jeering and squirming about it's nastiness. 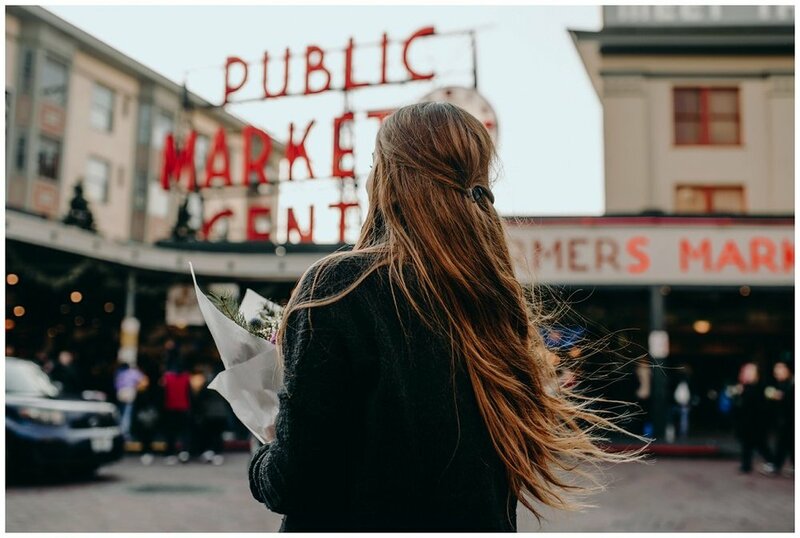 Pike Place is a part of who we are and the memories we savor. Memories I'm sure we share with so many other Washingtonian's. We love to be tourists in our own state in Washington. We share an affinity for idolizing the ocean, the mountains, the trees. It's easy to feel a bit of home in the market and to feel warm when you can see others experiencing the same. These are our roots. This is our Washington. This is our Seattle. What are your stories and favorite things about Pike Place? I'd love to hear! Comment below and feel free to share experiences, suggestions and funny stories! Brittingham Photography specializes in natural High School Senior portraits, but also offers Britt Beauty Sessions (individual women's shoots), Lifestyle Newborn, couples and family photos. Thank you for stopping by to read my little blog!